This is a gift card holder for a child's birthday created from a mix of old and new My Paper Pumpkin (MPP) kits! 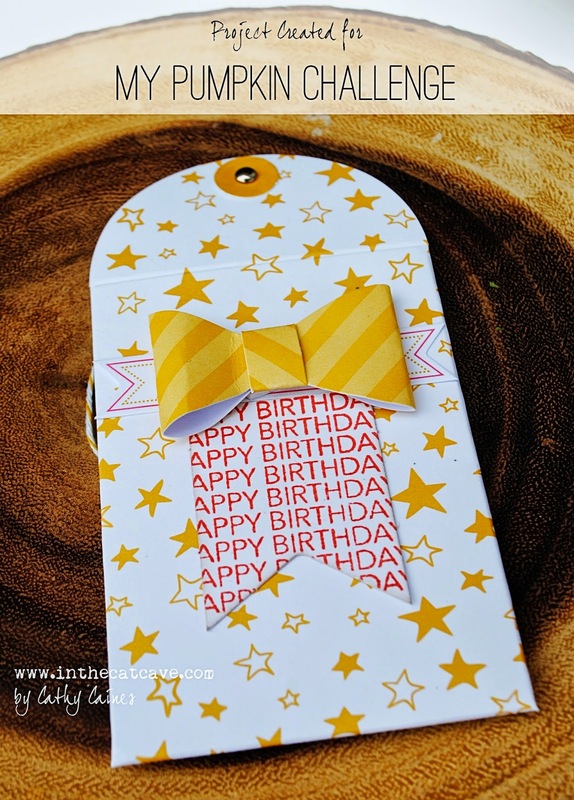 The tag was created using a background Happy Birthday stamp, also part of MPP. Remember to try to use up your stash - make doubles or create tags for that day when you are in a rush and do not have time to make or buy a card!